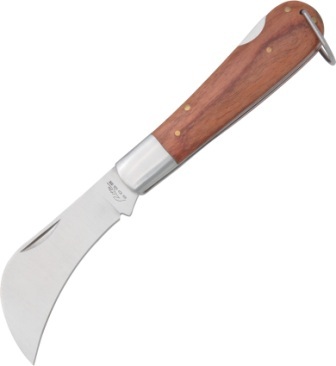 Type: Folding Hunter; Closed: 5.125"; Blade: 4" l Stainless; Handle: Orange l Bone; Other Info: Inlay Shield. 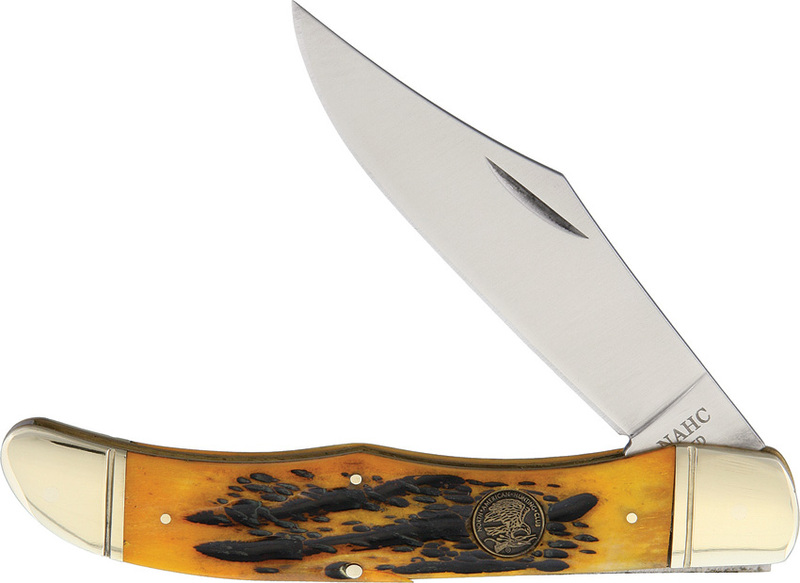 Orange jigged bone handles with nickel silver bolsters. Made in China. Log in and purchase this item to be earn 8 points. Learn about Rewards.